(Recto, sheet) Printer's guidelines, at each corner 3 cm from edge, black ink: a vertical line and a horizontal line at right angles to each other, in each corner. Working outside, Lee employs a common photography prop that is typically used inside: the studio backdrop. After he digitally removes all evidence of the extraneous supports used to hoist the sheet, the images read as elegant portraits of the natural world. 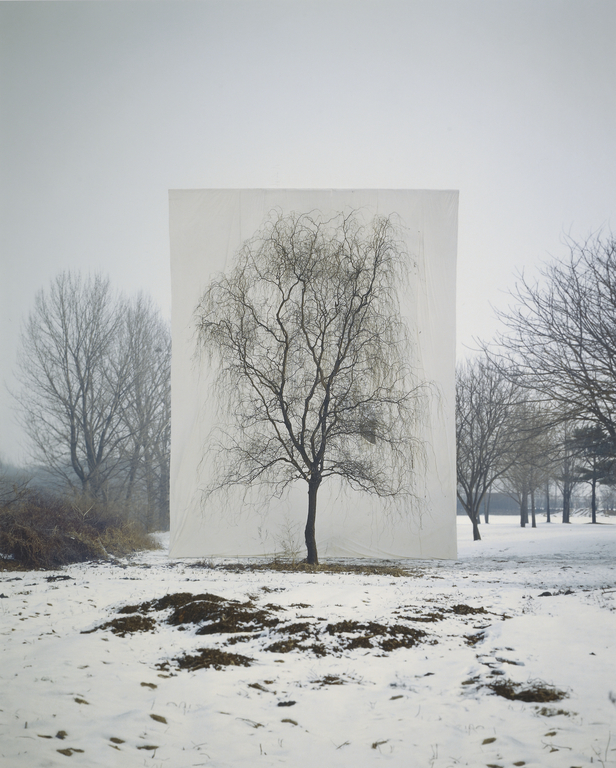 His prints of single trees isolated against stark canvases, yet within the context of the countryside, create a tension between the traditional genres of landscape and portraiture.